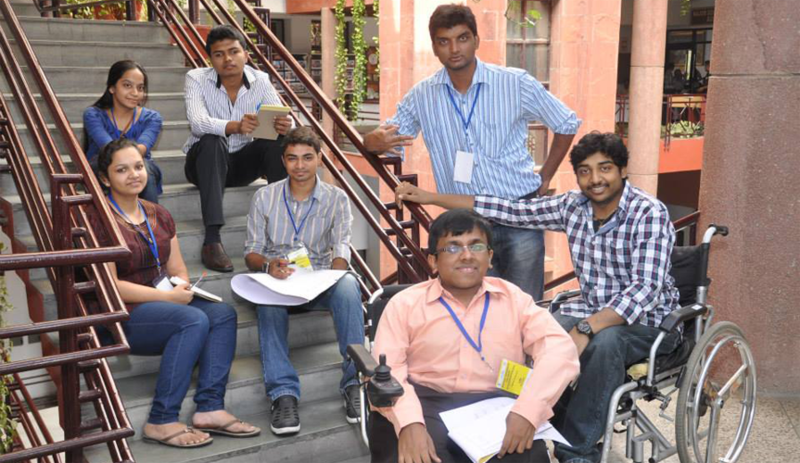 Following the success of the 1st NCYD and the overwhelming response from the participants, NCPEDP decided to make this into an annual event and organized the second National Convention for Youth with Disabilities on 25th & 26th March, 2014 in New Delhi. Around 70 young boys and girls with disabilities from 31 universities and colleges representing 13 States attended the Convention. Some of the participating institutions included IITs (Delhi, Banaras, Madras, Bhubaneswar, and Bombay); IIMs (Ahmedabad, Bangalore, Indore, Kozhikode); Banaras Hindu University; Visva Bharati University; Aligarh Muslim University; Delhi University; University of Hyderabad, among others. Nikhil Dey of Mazdoor Kisan Shakti Sangathan (MKSS) was the Chief Guest at the inaugural and speakers at the included Nilotpal Basu from CPI (M), Nalin Kohli from BJP and Atishi Marlena from AAP among others.